Typically, when a pizza comes out of the oven and the crust is black, it means you messed up. But several Italian restaurants in the US are now selling black pizza on purpose — and not because they're trying to foist off damaged pies on unsuspecting customers. 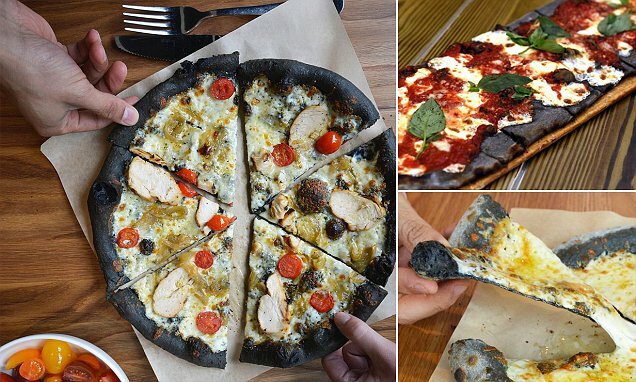 The newest trend in the pizza world sees chefs adding charcoal to the dough, so the crust comes out of the oven with a dark black color. That sounds like the pizza is just burnt, or else chefs are purposefully adding burnt ash to the crust — but that's not the case. Activated charcoal (also called activated carbon) as a food and drink ingredient has been becoming increasingly popular in recent years, with health food shops and spas adding it to their offerings. According to WebMD, some people swear by the ingredient to reduce high cholesterol and prevent gas, though its effectiveness in those arenas hasn't been widely studied.